Our partners at Steel King sometimes release information on specialized steel bulk containers, and we like to pass it along when they do. 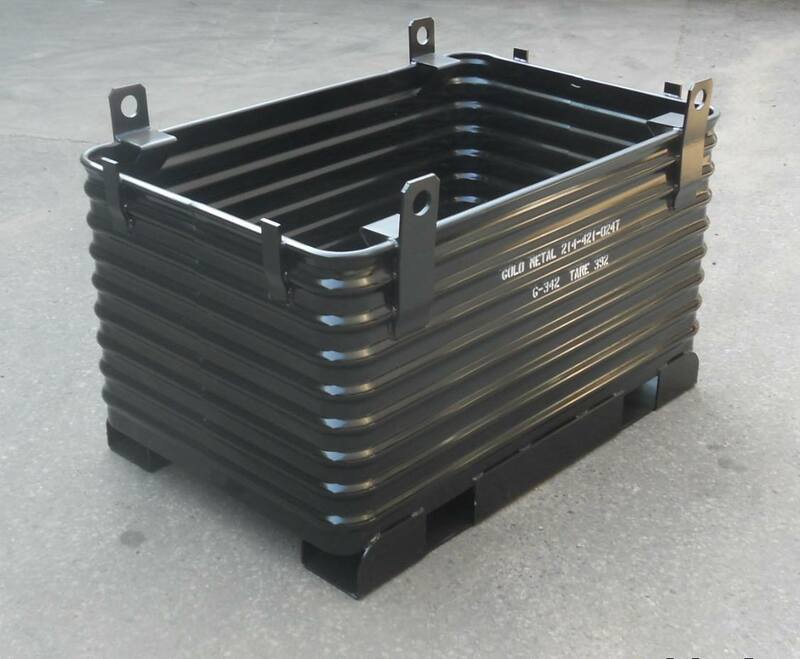 This heavy-duty industrial recycling container was the company’s container of the month for February 2015. It’s equipped with rollover fork legs, crane eyes, and has valves for oil draining. It’s stackable and can be equipped with casters for easy movement (even if loaded). It can also be constructed water tight on request. If it fits your application, contact us for quick assistance.